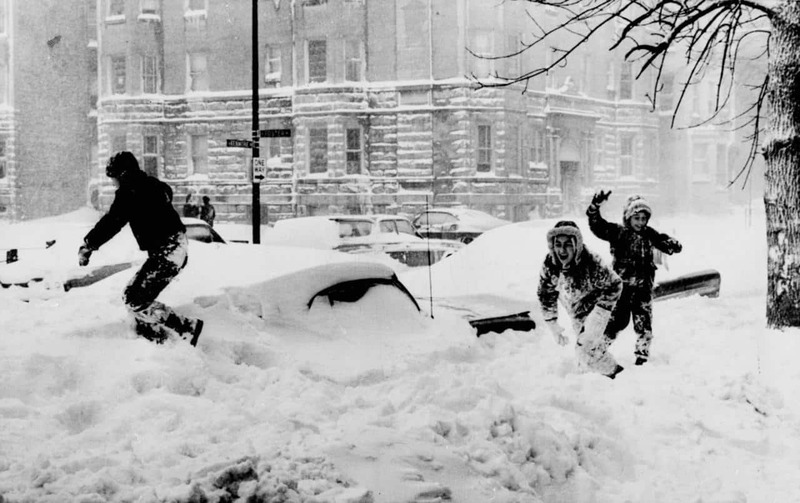 Children frolic near buried cars during Chicago’s Blizzard of ’67. 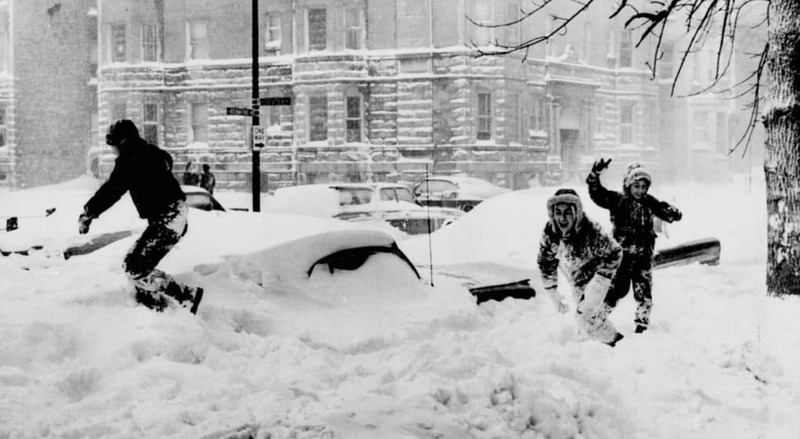 The snow began falling in Chicago at 5:02 am on Thursday, January 26, 1967. Even as the day progressed, people showed little awareness of the magnitude of what was about to happen. Because the weather forecast on Wednesday mentioned a 50% chance of a four-inch snowfall. However, the snow fell continuously all through Thursday in to early Friday morning. When the blizzard ended at 10:10 am on Friday, 23 inches of snow blanketed Chicago and its suburbs. In addition, Midway Airport reported ten-foot drifts covering its runways, aided by wind gusts of 48-53 mph. According to the Chicago Tribune, about 50,000 abandoned cars and 800 CTA buses littered the city’s streets and expressways. But the vertical onslaught of snow also resulted in horizontal acts of kindness. In the aftermath of the giant blizzard snowball in Chicago’s face, drivers in cars that could get through stopped to give rides to pedestrians. And, I missed my scheduled final exams! Furthermore, because complaint often questions God’s goodness, faithfulness, wisdom, and love, it assaults your trust in Him. As a result, we all need to be open and approachable in the midst of our discouragement. This means we need to accept loving challenges to our assumptions about life. Also, these challenges come from the clarifying truths of Scripture and loving corrections of the body of Christ.